It’s Not SEO Anymore, It’s Marketing. Deal With It. 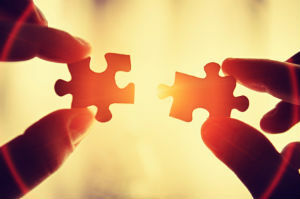 At TopRank Online Marketing, we work with clients in many different industries each facing a unique set of problems. One of the industries we provide online consulting for regularly is software. Be it network monitoring, healthcare system and hospital software, email marketing, project management, or B2C software, promoting technology solutions has been a part of our expertise since TopRank was founded over 10 years ago. Software development continues to become even more valuable in today’s social, mobile and overall digital world as companies begin to migrate what were once offline industries into SaaS and cloud based services. It wasn’t too long ago that recruiting, sales, and marketing relied heavily on meeting in person or over the phone. With advancements in software and devices, organizations are now able to accomplish the same if not better results at a drastically reduced cost. From the dawn of time people with things to sell have been using stories to attract, engage, and retain customers ala #optimize. 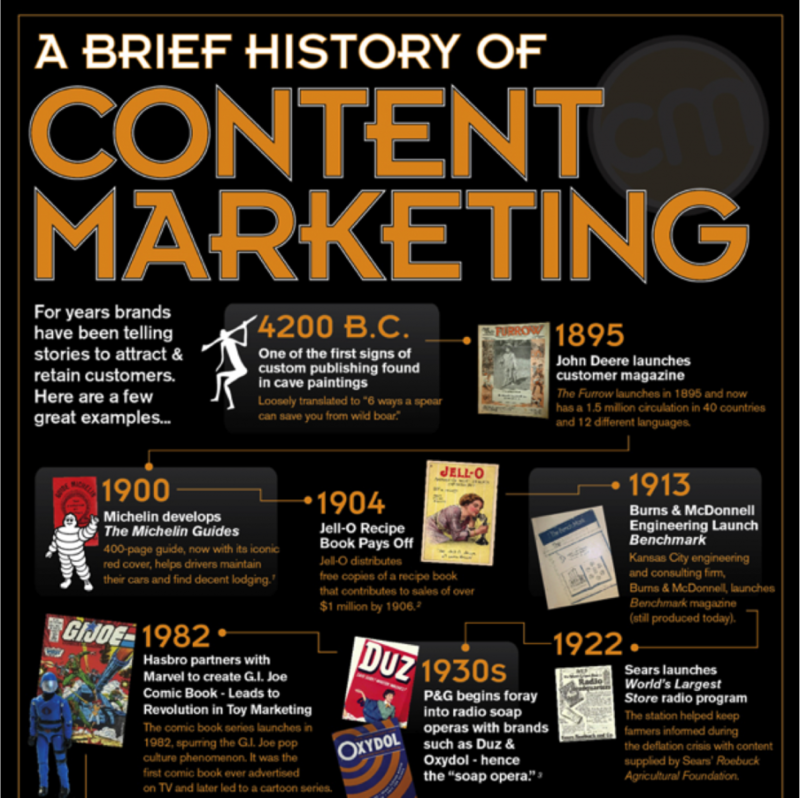 The infographic above from the Content Marketing Institute takes us all the way through the evolution of content marketing and provides some meaningful insight into what companies have done in the past to generate results. You might learn a thing a two, plus it’s a great read. “6 Start-up Tips From the World’s Biggest Tech Companies” Every company has to start somewhere. Famous companies such as Google, HP, and Microsoft were built on a set of core principals including creating long term customer relationships and listening to feedback. This post provides tips from some of the largest companies in world on how to get through the start up phase of your business. Via Inc. I really lucked out after moderating the morning session at SES London on Social Media Tools by joining the SEO Tools of the Trade session that followed. Both sessions had great speakers and I’ve decided to combine my notes for both into one post about social media automation tools and SEO tools. The sources for the SEO tool recommendations include: Richard Baxter of SEOGadget, Dave Naylor from Bronco, and Neil Walker from Just Search. The social media tool recommendations came from Andrew Girdwood from bigmouthmedia, Paul Madden from Automica and Marcus Tober from SearchMetrics. What are customers saying about your brand? I recently attended a great presentation by Taylor Pratt of Raven Tools at OMS in San Diego. 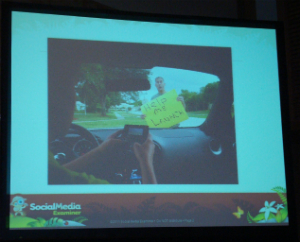 He focused on the importance of using content marketing for improved social engagement. TopRank has been a long time and well-recognized advocate for the notion of customer centric content marketing. Over the years we have seen SEO, social media, and content marketing industry change and grow at a rapid rate, so now more than ever marketers must create content to meet customer needs in order to execute a successful online strategy. The social media game is not only evolving but the way that our audience consumes this information is constantly changing. No SEO Migration Plan is much scarier than this pic of Big Ben. One of the classic scenarios for the intersection of web design/development and search engine optimization is when companies decide to update their website’s design and content management system. Businesses that expect new revenue and continued visibility to various audiences through search need to manage their web site assets for more than just ease of back-end maintenance and customer user experience. A website manager sends an email on Friday saying, “We’re launching a new website on Monday, can you take a look at it to make sure our site optimization is ok?”. 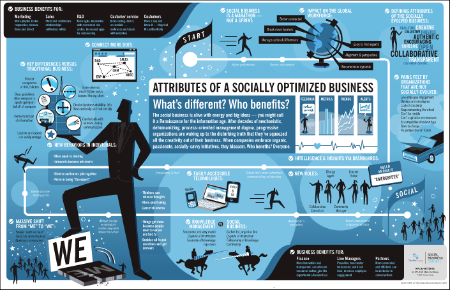 What Are Social Channels Good For? Sure you’ve setup your company profiles and pages on social media. 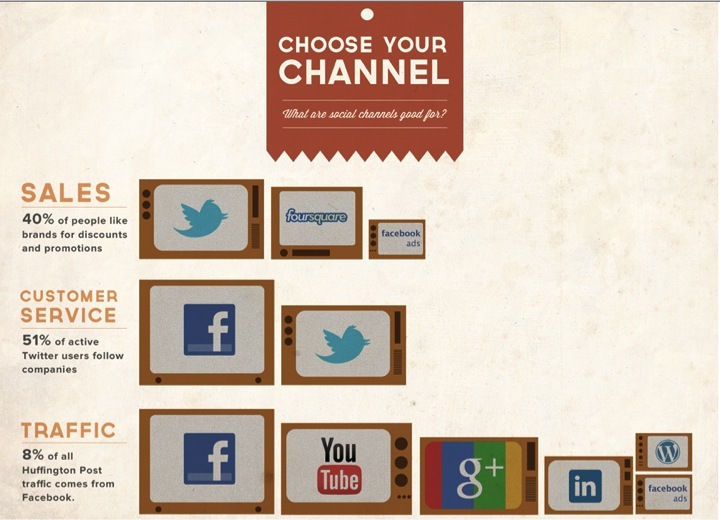 However, do you know what channels are best used for which type of interaction? This infographic by Grovo shares some great insight into specific uses for many of the popular social media platforms. Did you know? “Content Marketing Becoming Vital” Kelly OCG, a workforce consulting and outsourcing organization shares that they do no B2B brand advertising. Instead they spend about 60% of their marketing budget on creating, distributing, and promoting their own unique content. According to the Custom Content Council approximately $41billion dollars are spent on creating custom content. Via BtoB Magazine. 1. How does GM segment digital marketing activities between customer acquisition and retention? Follow up: Does GM follow a social media editorial calendar according to customer buying cycles and personas? 2. With all the shiny objects of social media in the world, how do you go about deciding what to test and what to implement? Take a look at the video and I think you’ll be interested in the customer-centric approach GM takes with social media and how time is allocated towards new customers, activating current customers as evangelists and their approach to filtering shiny social objects. Does your business need better content marketing like this Social Media Examiner contest participant? I really appreciated Michael’s insight into today’s customers and the need for change in an industry that is constantly evolving. Below I’ve provided some highlights from what I learned from Michael Stelzner at the 2012 Online Marketing Summit.